Holly Stickley of The White Pear shares her humble beginnings and her journey to becoming a small-spaced garden designer, photographer, and garden blogger. As a twenty-something gardener, living in an apartment in Los Angeles with no soil to plant in, Holly Stickley started her love for gardening, by gardening in pots. Her apartment walkway was overflowing with pots of flowers, butterflies, and bees. Shortly, after graduating from UCLA, she began studying interior design at The Fashion Institute for Design and Merchandising in LA, and spent time in London, studying the gardens and interiors of the historic homes. It was an exciting time for her—a world filled with art history, design, and plants. While working as an interior designer, Holly enjoyed taking photographs of the interiors that she was exposed to, and became consumed with the beauty of photography. Upon moving to the Pacific Northwest, Holly began studying architecture photography, taking courses at the renown Santa Fe workshops. She began a successful career as a photographer for architects, designers, magazine and book publishers. 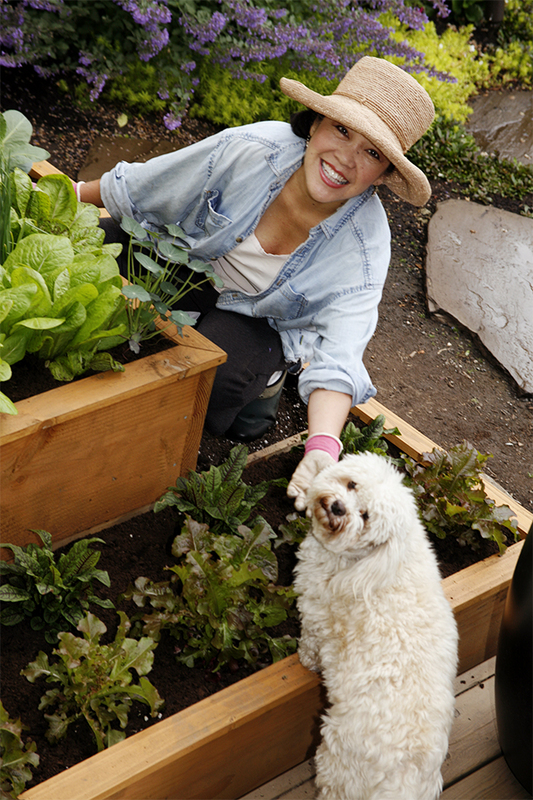 But, after more than a decade, her true love beckoned—back to the garden! She started her formal landscape design education enrolling in the Landscape Technology program at PCC in Portland, Oregon. Holly founded The White Pear in 2006, and since then, along with her team, has helped inspire people to make their gardens and outdoor living spaces more beautiful, functional, and healthy. Through the lens of a photographer, she sees beauty, light, and composition. Through the eyes of an interior designer, she can pull together a complete and cohesive outdoor living space. As a garden designer, she sees infinite combinations within the plant world. Through these experiences, Holly brings a unique perspective to the world of garden design and outdoor living. "I love the garden beds! Holly is not just a landscape designer, she is an artist that is passionate about her craft and has created beautiful paintings in my garden. Thank you!" ~ Pam G.